The Right Choice When Searching for a Dentist in Oklahoma City. At Shepherd Mall Family Dentistry, we understand that you have a lot of choices when trying to select an Oklahoma City dentist. Your oral health matters, which means you need a dentist that can provide the kind of individualized care required to ensure you enjoy a lifetime of healthy teeth and gums. 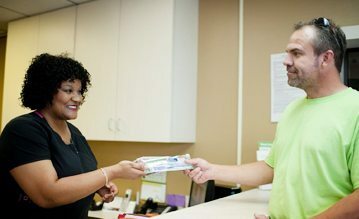 We believe lasting relationships are created through honest and open patient communication. By getting to know you better, our dentists can create an individualized treatment plan that can keep your smile looking and feeling healthy now and in the future. Shepherd Mall Family Dentistry proudly supports the needs of our multicultural community by offering a bilingual office environment and dedicated phone number to Spanish-speaking patients. Please contact us at (405) 778-8282 if you need to speak with a representative in Spanish. 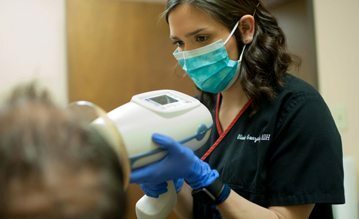 From digital X-rays to Zoom teeth whitening treatments to root canal therapy, our dentists can provide the outstanding care you require in our comfortable and relaxing Oklahoma City dental office. Whether you want to schedule a senior dental care exam or need a pediatric dentist, we happily accept patients of all ages. We also offer a bilingual office environment for Spanish-speaking patients and a dedicated appointment phone number. 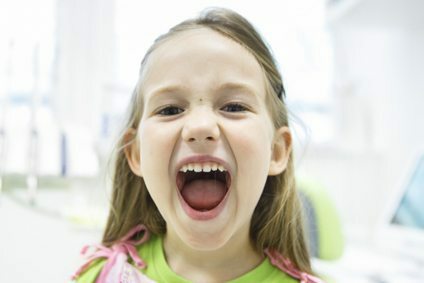 If you need a the best bentist NW 23rd St. Oklahoma City has to offer or any of our surrounding communities, schedule your next dental care appointment with the OKC dental care professionals at Shepherd Mall Family Dentistry. We accept most major insurance, including: Aetna, Delta Dental, MetLife, BCBS, Cigna, Guardian, Connection Dental, Principal, GEHA, HealthChoice, United Concordia and more. Come experience for yourself what so many of our current patients already know – that at Shepherd Mall Family Dentistry the comfort and care of our patients always comes first! Not everyone enjoys visiting the dentist. The sound of drills and the thought of needles can keep many patients from receiving the dental care they need in order to prevent decay and disease that can threaten their long-term oral health. 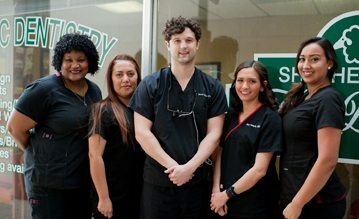 At Shepherd Mall Family Dentistry, our staff of gentle dental hygienists and compassionate dentists strives to create a comfortable and stress-free atmosphere at our conveniently located OKC dental office. If you suffer from dental anxiety, our team will happily take you step-by-step through the treatment process, so you know in advance what you can expect during your appointment. We will answer any questions you may have about your treatment until you feel relaxed and ready to proceed. For patients who suffer from severe dental phobias, we offer oral sedation to help ease any distress or discomfort. Don’t put off receiving the dental care you need to enjoy a brilliantly bright smile. Contact the gentle dental care professionals at Shepherd Mall Family Dentistry to learn more about how we can help you overcome dental anxiety. Our friendly and experienced staff at Shepherd Mall Family Dentistry remains dedicated to providing only the latest and most advanced dental care Oklahoma City has to offer. 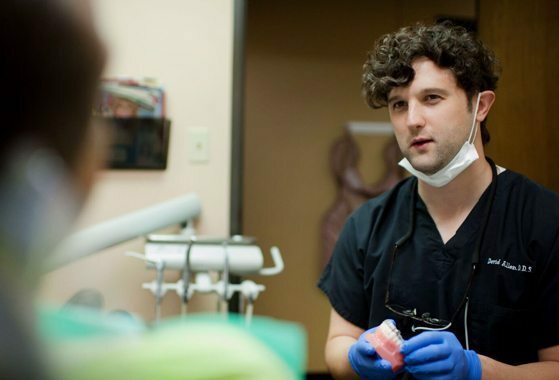 From digital X-rays to Zoom teeth whitening treatments to root canal therapy, our dentists can provide the outstanding care you require in our comfortable and relaxing Oklahoma City dental office. Whether you want to schedule a senior dental care exam or need a pediatric dentist, we happily accept patients of all ages. We also offer a bilingual office environment for Spanish-speaking patients and a dedicated appointment phone number. Dr. Allen is the best dentist that I have ever been to. Dr. Allen is the best dentist that I have ever been to. He always takes his time and makes sure that I understand everything that is going on. He also speaks Spanish which is a plus as well. The Dr. and staff are top notch! Don't be fooled by the lack of fancy decor or location! The Dr. and staff are top notch! I have spent over $10,000 on dentistry in my lifetime and they are the best I have ever been to! Preventative care services, including dental exams, digital X-rays, teeth cleanings, fluoride treatments, sealants and custom mouth guards. Affordable cosmetic dentistry services such as teeth whitening, composite fillings, crowns, dental bonding and orthodontic treatment. Periodontal services that include gum disease treatment, scaling and root planing, and bone grafts. Restorative dental services, including dental bridges, dentures and wisdom tooth extraction.